The Swallow Finch lean to greenhouse is a the new 4ft wide greenhouse from Swallow Greenhouses. 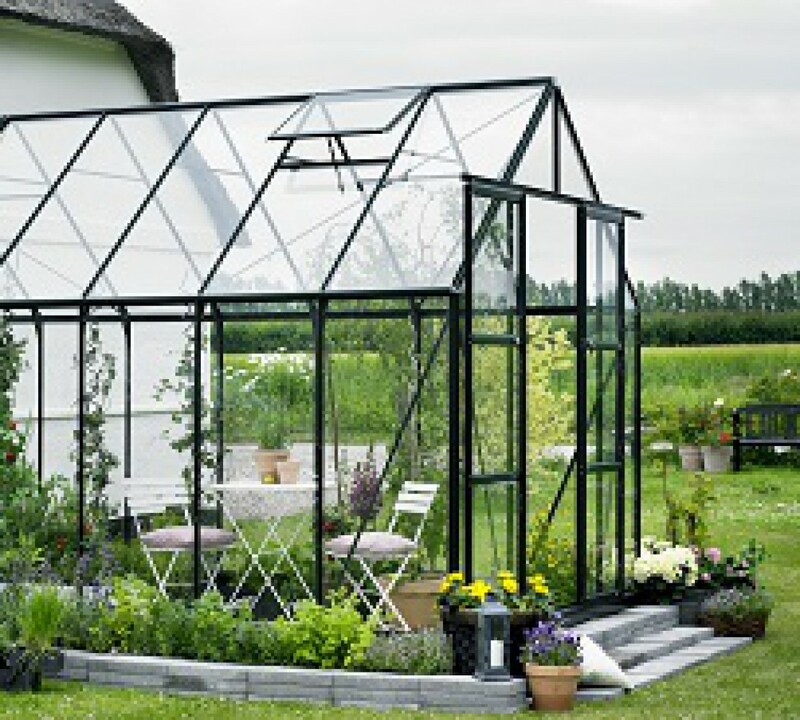 Do you have just enough room at the side of your house or garage for a greenhouse ? You may have more than enough room without realising ! 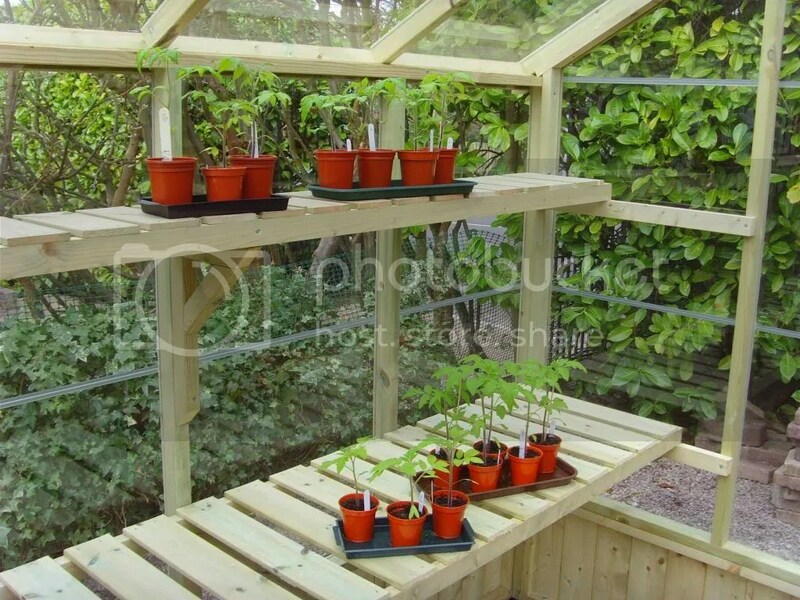 This new wooden greenhouse from Swallow GB Ltd might just be the answer. The new Swallow Finch Lean to is only 4ft 6” wide (out from the wall) meaning that it can be shoe horned into the tightest of available space and will provide a really beautiful environment for growing plants and vegetables year round. Swallow greenhouses are handmade here in the UK by true craftsmen with love and care along with attention to detail that is so lacking in many wooden greenhouses for sale ! 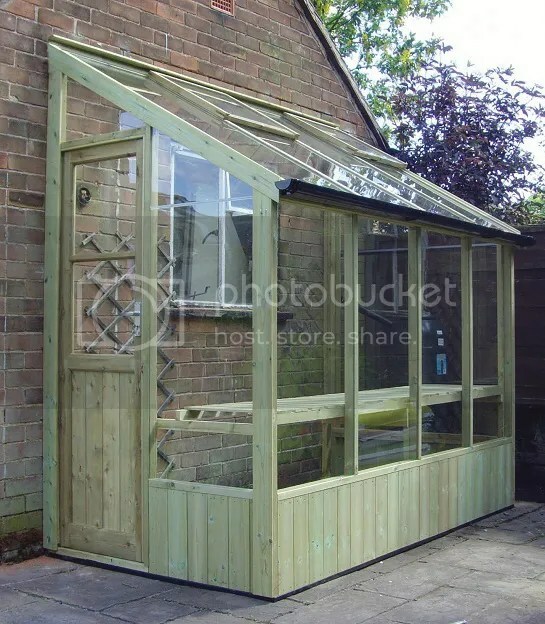 Swallow Greenhouses are built from redwood pine timber and include a length of timber staging, toughened glass, Bayliss autovents and lockable doors as standard. The huge added bonus of choosing a Swallow Greenhouse is that full installation of the greenhouse in your garden is included in the price ! This takes any hassle out of the process. Simply order your Swallow Greenhouse and then wait for it to be delivered within 4 weeks and erected before your very eyes ! Simples ! 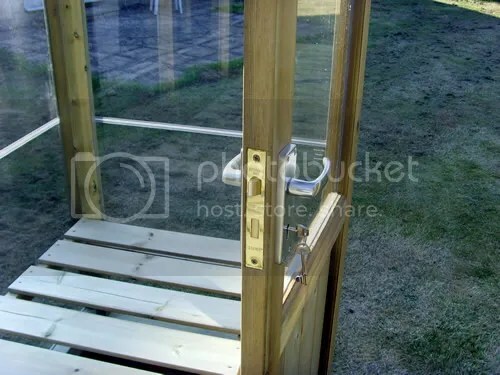 Here is a photo of a freshly fitted 4ft x 8ft Swallow Finch lean-to sitting against the side of a bungalow. In this photo you can clearly make out the black PVC Damp Barrier going around the foot of the greenhouse that prevents the timber from becoming damp, making your new greenhouse last a lifetime ! The Swallow Finch lean-to benefits from some great standard features such as this full length slatted staging for storage and potting up. In the photo below you can also see the optional high level shelf. You also get automatic roof vents as standard. 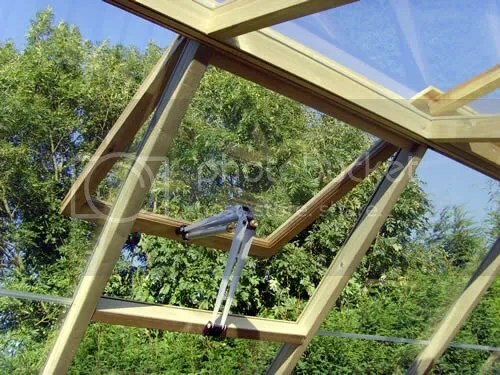 Swallow use the excellent and industry leading Bayliss XL autovent to help you ventilate your greenhouse in hot weather as seen below.